The Avengers Initiative was created after the fallout of the Superhuman Civil War with the intent to train young registered super heroes to become responsible law enforcement agents. The goal was to then place a team in each of the 50 U.S. states as peacekeepers with a specific jurisdiction. Unfortunately, the Avengers Initiative was self-destructing and change in the post-Skrull invasion world was imminent. 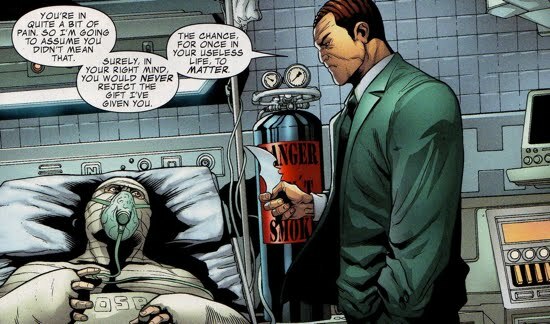 Norman Osborn had a variety of motivations for allowing this initiative to publicly fall flat on its face, it didn't hurt that it was Tony Stark who was largely responsible for its creation. The Avengers Initiative was based out of Camp Hammond, a facility located in Stamford, Connecticut (which also happened to the be site of the tragic explosion the spurred the Superhuman Civil War). This facility also housed a captive Ragnarok, the android clone of Thor, who had recently broken out and decimated Camp Hammond as well as parts of Stamford. To make matters worse, the heroes stationed at Camp Hammond were also aware of a cadet, named MVP, that had died during a training exercise. MVP's death was covered up by having him cloned by Baron von Blitzschlag (resident Nazi-scientist with crazy German accent). The local Stamford residents were growing increasingly angry at Camp Hammond and were preparing to riot the facility in an attempt to destroy it. These two screw-ups by the Avengers Initiative became very public, and Norman did not stop that from happening, rather, he capitalized off of it. Osborn arrived at Camp Hammond and held a press conference in which he declared the facility permanently closed. He reassured the public that this initiative was broken and that it would be fixed immediately. The entire staff was to be relocated and reassigned. As a final act of good faith toward the town of Stamford, Norman allowed the angry mob to destroy the facility. The team based out of Camp Hammond was not the entire team, there was also a black ops team known as the Shadow Initiative that happened to be in Madripoor at the time Osborn closed Hammond. Norman was completely unaware of the this Shadow Initiative until Sergeant Green (aka Gauntlet) camped outside Norman's office and demanded to know how the director planned on handling the fate black ops team. Osborn reassured Gauntlet that all active S.H.I.E.L.D. ops were taken over by H.A.M.M.E.R. personnel, he was completely lying to the sergeant. Osborn told his deputy director, Ms. Hand, to find out the specifics concerning the Shadow Initiative. After Ms. Hand discovered the team was in Madripoor, Osborn sent Ant-Man, a Thunderbolt team member, to safely extract the black ops team. 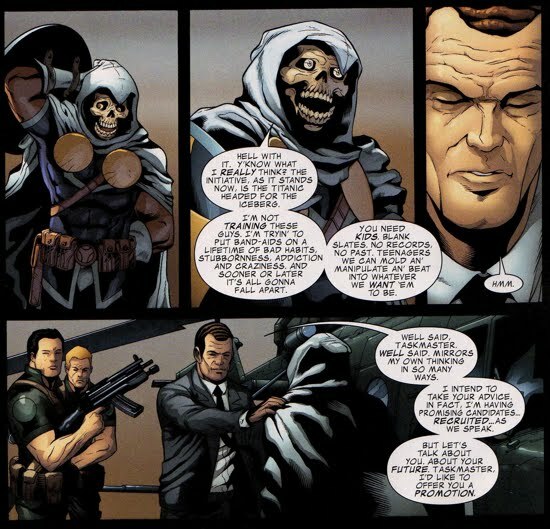 The team was then debriefed back and the Avengers Tower and Norman recruited Taskmaster, a member of the Shadow Initiative, to run the new initiative. Taskmaster accepted Norman's offer. 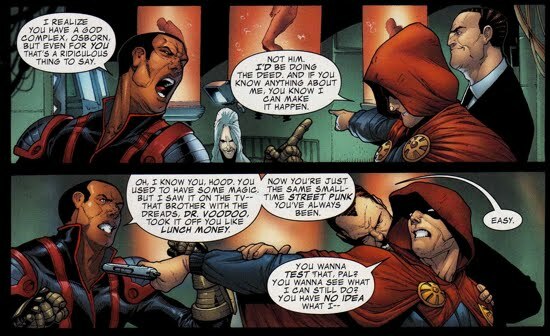 Taskmaster was to be the public face of Norman's initiative, but his cabal-mate The Hood was to aid Taskmaster in secretly running the initiative. The Hood was too high profile of a villain to have any public involvement with this 'heroic' team. All throughout Norman's tenure as the director of H.A.M.M.E.R. he was very cognizant of the power behind public perception and he was a master at manipulating it. To this end, Norman knew that he could not staff up this new initiative with a roster full of 'reformed' villains and that he would eventually have to enlist some known well known heroes as well. So Norman then dug up his former Thunderbolt, Penance, who was being held at the Burke Wellness Center in San Francisco. 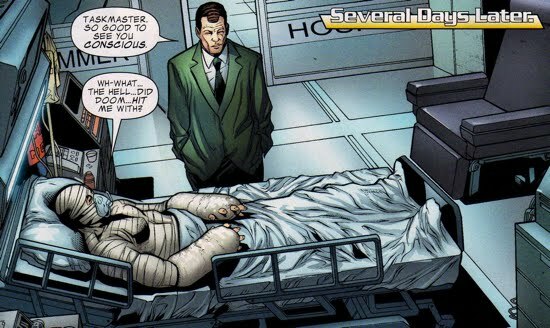 Penance had been placed there after Osborn had ordered him to be drugged (causing him to be come an amnesiac) by Moonstone immediately following the events of the Skrull invasion. The mentally weak Penance agreed to join Osborn's initiative as Taskmaster's student, completely unaware of the Norman's prior transgressions against him. Norman did not rule out the possibility of members of the original initiative joining his revamped team, they just had to make some 'sacrifices' first. Tigra, former West Coast Avenger and member of Stark's initiative, was one of the heroes Norman approached. She was in a compromised position, because, unfortunately for her, she was pregnant with the child of the Skrull that was impersonating Hank Pym. Tigra had not yet decided whether or not she was going to keep the child, but Norman wanted the unborn child regardless. Norman was thinking about the future, specifically, future attacks by Skrulls and he believed that a human-Skrull hybrid would unlock a great deal of secrets behind the Skrulls and their shape-shifting capabilities. He asked Tigra to give up the unborn child or he would take it from her (at the present moment or after she gave birth to it), in exchange he would give her the freedom to join whichever Avenger team (even his team!) she chose or she could even operate independently. Osborn painted Tigra into a corner because he had the interest of national security on his side, the public would most likely not sympathize with a woman bearing the child of the Earth-invading Skrulls. Tigra violently refused to agree to Osborn's terms. After Tigra, Osborn moved on to Gauntlet, offering him a the opportunity to return to his former unit in the Middle East. The unfortunate catch was that Gauntlet had to surrender his oversized weaponized right-arm, aka his Gauntlet. He violently refused Osborn's terms as well, launching the Avenger Ares from the Tower after he insinuated he'd use his axe to remove Sgt. Green's arm. Former initiative member Diamondback was requested to join Norman's team and she accepted, whereas Trauma (the former team's resident pyschiatrist) offered up his resignation. Norman was able to persuade Trauma to remain aboard after promising to cure his mother's insanity. In return, Trauma was required to make sure all initiative members 'behave' by any means necessary. Trauma reluctantly agreed. Former initiative member Prodigy, tentatively accepted Norman's offer to join the new initiative but shortly thereafter reconsidered his decision. Only a short time after closing Camp Hammond, Norman opened Camp H.A.M.M.E.R. in New Mexico. He converted an old Hulkbuster facility, which was located in a remote area. One of the problems Norman listed about the former camp was that it was located in the middle of a town filled with civilians, and he was committed to not repeat Stark's mistake. After announcing the debut of the new facility, Norman then announced his new teams. The Forces of Nature were assigned to Oregon, The U-Foes to North Carolina, Psionex to Maryland, and the Women Warriors to Delaware. No one was fooled about this new lineup, including the media, when asked about 'former' villains on his staff Norman cleverly responded, "You mean like Hawkeye, Quicksilver, Wonder Man...?". This quieted their questioning since reformed villains making there way on to heroic teams was not totally out of the ordinary. 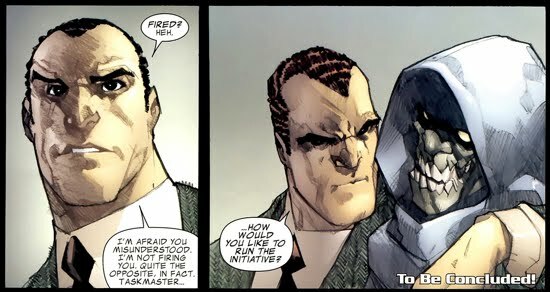 The original initiative team had a black ops team (the Shadow Initiative), but Norman had no use for another black ops team since his Thunderbolts served that purpose. However, Norman did create another Shadow Initiative, but he staffed it with a group of C-List villains that served the purpose of fodder that softened enemies up before the real initiative would arrive. Norman used this fodder black ops team to reclaim 42, the Negative Zone prison from the forces of King Blastaar that had overrun the detainment center. Osborn's team was successful at reclaiming the Negative Zone, a big PR win, unfortunately for Norman that PR was short-lived. After an argument between Prodigy and his teammate Outback (aka Boomerang) was recorded by the media, Prodigy denounced Norman publicly, stating that the H.A.M.M.E.R. director was staffing the initiative with con men, criminals and pyschopaths. Norman was none too pleased with this development and he sent his forces after Prodigy to make him pay for this comments. Norman sends the state of Montana's initiative team, the Freedom Force, after Prodigy. Norman chose a team assembled during Stark's regime to avoid the appearance of a schism in the initiative. The Freedom Force had a sniper named Cloud 9, a woman extremely capable of killing Prodigy from long range. Prodigy's team, known as the Heavy Hitters, was soon joined by the New Warriors, now calling themselves the Avengers Resistance. The two groups of heroes then battled both the Freedom Force and The Forces of Nature. During the ruckus, Cloud 9 had a clear shot on the New Warrior Night Thrasher and Taskmaster ordered her to take it. 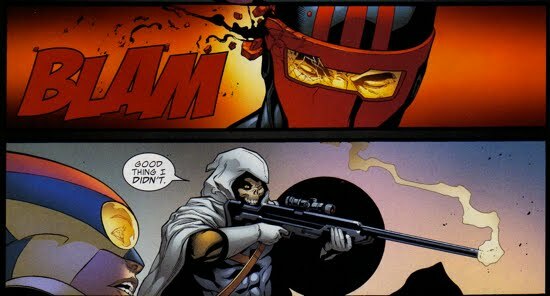 After she missed on purpose, Taskmaster took the shot himself and landed a near kill-shot to the head of Night Thrasher. Norman's forces were able to capture Night Thrasher before the Avengers Resistance was able to rescue him. The Avengers Resistance and the Heavy Hitters were overwhelmed and forced to retreat. Once Night Thrasher was back in Osborn's custody, he offered the hero a deal. 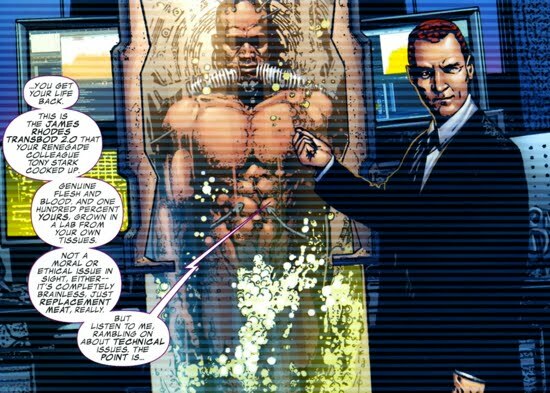 He would resurrect his dead brother (the original Night Thrasher), who's cloned body Norman had in his possession. 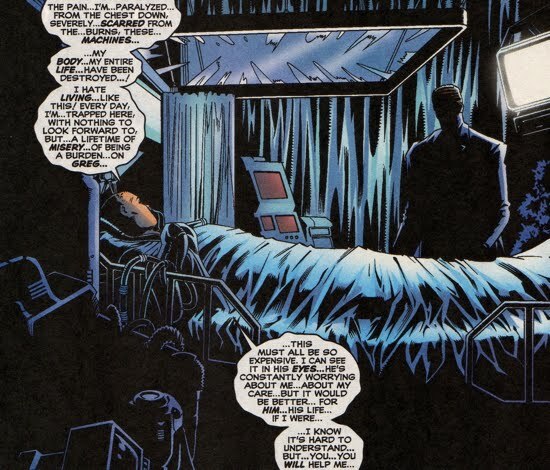 Osborn told him that there was a chance that The Hood could return his brother's soul to the lifeless cloned body in the same manner that he was able to resurrect the long-dead villains that battled the Punisher. In exchange, Night Thrasher would be expected to aid Norman's initiative in taking down the Avengers Resistance. Night Thrasher reluctantly accepted (sound famililar?). 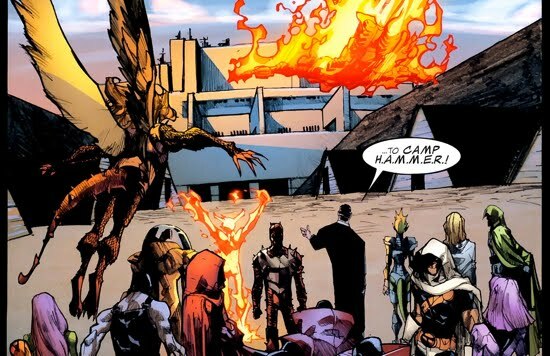 But before Night Thrasher's allegiance could be tested, the Avenger's Resistance stormed Camp H.A.M.M.E.R. and rescued him. During the battle, Penance regained his memories but could not bring himself to reveal his identity to his former team, the New Warriors. Penance did spare their lives after Taskmaster commanded that he attack the New Warriors and Penance refused. Both Penance and Diamondback decided to stay with the initiative and it was revealed that Diamondback was the mole working for the Resistance against Osborn. Amongst all the disarray and dysfunction that comprised Norman's initiative, one man stood out and rose the ranks of Norman's chain of command, the Taskmaster. 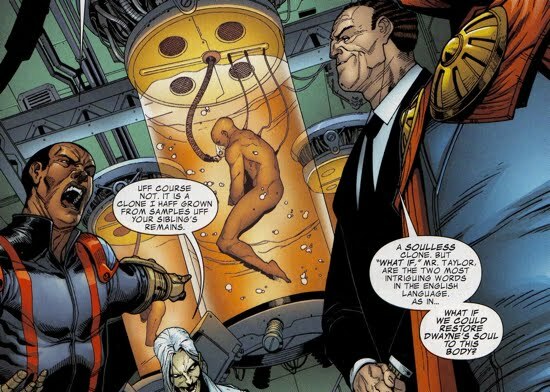 Originally being appointed the public role of leading Norman's team, Taskmaster soon found himself being asked by Norman to become a member of his Cabal. Well, the Cabal 2.0, because most of the original members either betrayed Norman directly or were already working behind his back to have him taken down. Taskmaster was not sure if he was ready for this opportunity but he also knew that he could not turn it down either. The dealings within the Cabal are covered in a different section, however, Taskmasters role was brief enough to cover here. During the final meeting between Dr. Doom and Osborn, the Taskmaster was blasted with a plasma blast (with magic mixed in) by Doom that nearly killed him. Taskmaster was then taken to the H.A.M.M.E.R. medical facility where the near-death experience caused him to decline the offer of remaining in Norman's cabal. Norman did not react to kindly and nearly killed Taskmaster after he threatened to light his oxygen tank on fire. Frightened by the incredible (yet crazy) force of Norman's convictions, Taskmaster decided to remain a part of the Cabal. Norman then informed Taskmaster of their next mission, the invasion of Asgard! 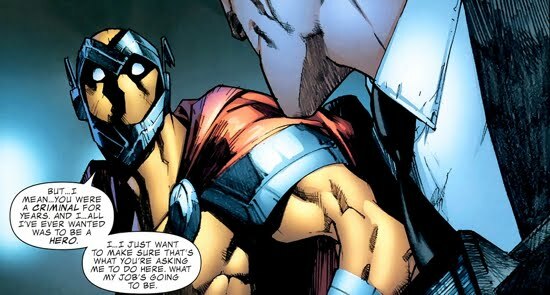 None really, the Avengers Initiative's conflict with Norman is not resolved until after his siege on Asgard. The initiative is eventually shut down and replaced with other training programs, specifically the Avengers Academy. Most of Norman's plots and schemes against the former initiative members disappear after his fall from power. A lot of really good ones, mostly flashbacks to similar instances of Norman's past. Let's start with Sally Floyd, reporter for the Front Line. She was the one who questioned Norman about his 'reformed' villains roster. After she introduced herself, Norman says, "I know who you are, Miss Floyd"...of course he does, but I'm not exactly sure how. 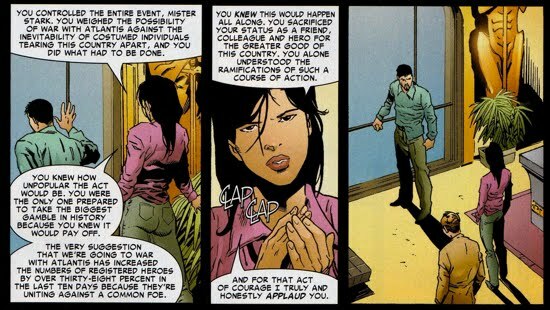 However, it was she and Ben Urich that pieced together Stark's staging of the Atlantean attack to garner support for the pro-registration side during the Civil War, in which Norman was a crucial pawn.